Find out which personality in Animal Crossing suits you the best with our informative quiz. In the quiz, you'll be tested with ACNL questions and other questions that will determine your personality type in the game. Are you Lazy, Cranky, Snooty, Uchi, Smug, Normal, Peppy or a Jock? Do you want to find out which personality type you are so you can relate to your favourite villager? Take this test! Where would we most likely find you in Main Street? You decide to get a hot brew, what do you go for? Blue Mountain is where it's at! Black, no milk, no sugar. What would you be more happier to get in the mail? Which special character would you most want to live in your town? You're stranded on a deserted island, you can only have one type of equipment. What would you have? Fishing rod. Need to catch fish to eat! Watering can. Revive the dead flowers and save some water! Net. Need to catch bugs so I can discover a new bug and become rich! Shovel. There are fossils on an island, right? Axe. Use it a simple my ultimate weapon against all evil! Just me and my bare hands. If you had the world's attention for 30 seconds, what would you say? Should I make apple or cherry pie? I challenge you all to a weightlifting competition, if I win you all have to pay me a thousand dollars each. What is your favourite K.K. Slider song? A new villager enters your town, however you vehemently despise that villager. What do you do? Incessantly hit them over the head with my net till they leave. Patiently wait till they leave. Maybe you might love them after awhile? As long as they don't plot their house to ruin my town then I'll be nice to them. Let's place a Public Works Project. What do you choose? The Happy Room Academy scores you low, how do you react? I deserved better. The HRA know nothing about style! Oh no! I must do better... or else. Just because I have my own unique style that they can't handle! That would never happen. My house is the best. Lastly, what time do you wake up at in the morning? 6 AM. I'm an early bird. 7 AM. Gotta get set for the day! 8 AM. Not too early, not too late. 9 AM. I need my beauty sleep. 10 AM. Sleep is very important, okay. 11 AM. I'm nearly up all night and I need to make up for it. Phineas gives you your first golden badge. What would it be? Your mortgage is completely paid off! What's your first reaction? Oh... I kinda liked the challenge of paying it off, though. Now my neighbours KNOW I'm rich. I'm going to have so many rooms to decorate now! 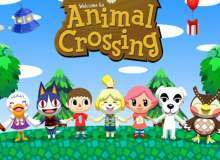 Quiz topic: Which Animal Crossing Personality am I?